Beyonce Knowles highlighted her eyes with metallic gold shadow and a subtle wing. Beyonce Knowles was elegantly coiffed with this braided updo at the 2016 MTV VMAs. 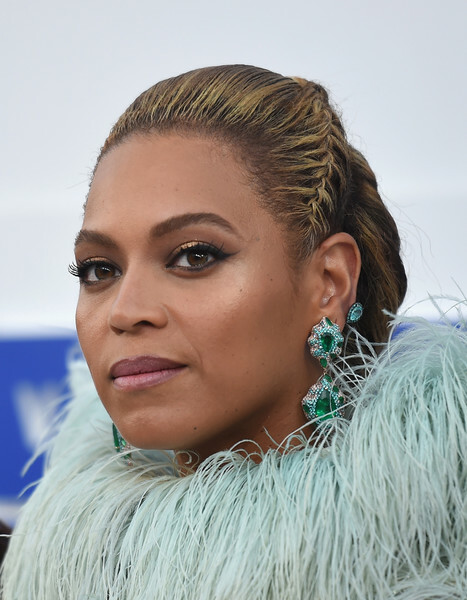 Beyonce Knowles dripped with a $1.8 million pair of Colombian emerald, pink diamond, and paraiba tourmaline earrings by Lorraine Schwartz!